The application form of ISM EE 2019 and the application fee can be filled online. The candidate who satisfies the eligibility criteria can visit the official website. A program-wise separate online application is required to be submitted through an online portal, which will remain available in the IIT (ISM) website. Then the candidates need to register themselves online by using the name, date of birth, email id, contact number. Then he/ she will get an email with a password. The candidate needs to log in with the given username and password. The non-refundable application fee for each program is INR 500/- for UR/ OBC (NCL) candidates and INR 250/- for SC/ ST/ PWD/ Women candidates. The application fee is to be paid by online payment gateway only along with the online application. The candidate has the responsibility to ensure his/ her all eligibility criteria for a particular program, as mentioned in this information brochure, for applying the M.Tech Programme(s). The image quality of the uploaded documents must be good enough to enable easy verification of the documents/ items. The scan must be done with the good quality of scanner to scan the documents (with file format jpg/ jpeg). The candidate should check the quality of the soft document before uploading. Then the candidates need to fill the application form carefully by providing appropriate information. The Candidates can access the application form by using email id, date of birth, password but they cannot edit the details. There is no registration form available in the website to register and online application can have only 5 branches to fill in it. I am a student of Computer Science Stream. Please help me so that I can fill the form. ISM EE has been discontinued and admissions to ISM, Dhanbad will now be conducted based on the scores of JEE Main and JEE Advanced. 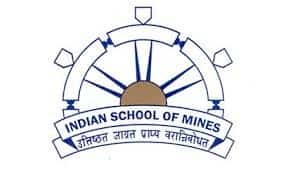 All aspiring candidates are advised to apply to JEE Main in order to be eligible for admissions to ISM, Dhanbad.